Like a smooth, sweet corn bread that you can eat with a fork, this recipe is tasty, sweet, and typically served served alongside rice and beans in many Mexican restaurants. Made very simply with few ingredients using masa (corn flour). Masa can typically be found at the grocery store near the hispanic foods, or in the baking aisle near the flour. Preheat oven to 375. Prepare about 2 cups of boiling water – this dish requires a water bath when baking. 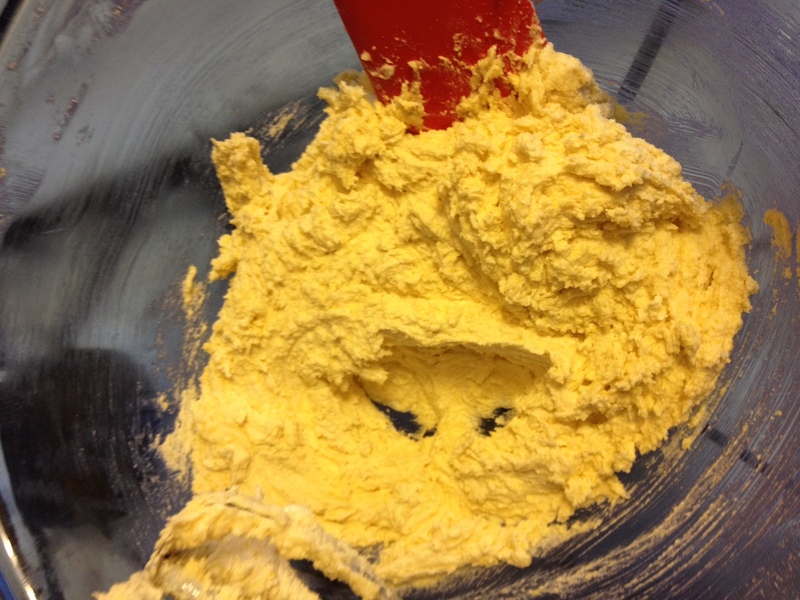 Using a hand or stand mixer, cream together butter, sugar and salt. In a separate bowl, mix masa, cornmeal and baking powder. 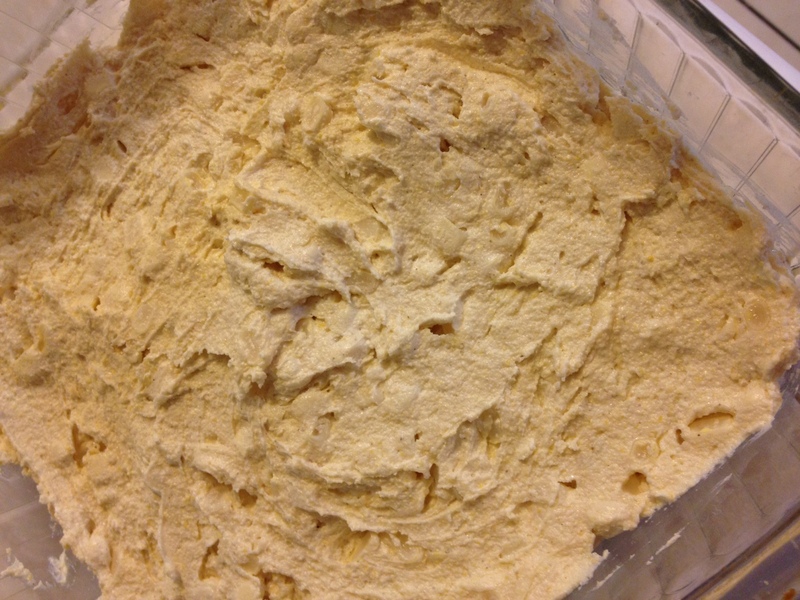 Add masa mixture to butter mixture – the dough will resemble cookie dough. 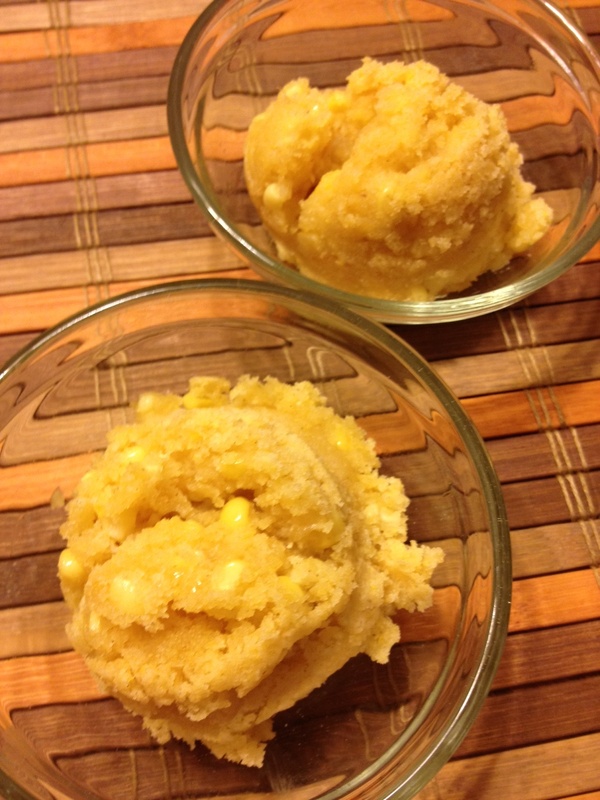 Mix in cream, then corn kernels. 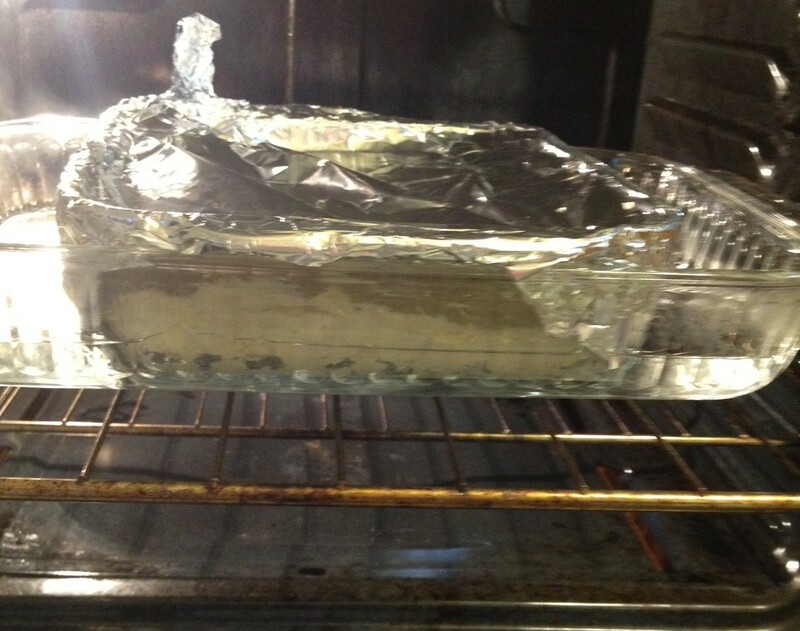 Using a spoon or spatula, spread batter into an 8×8 glass pan, and cover tightly with tin foil. I like to make a a little tab out of the foil to make it easy to pull off. 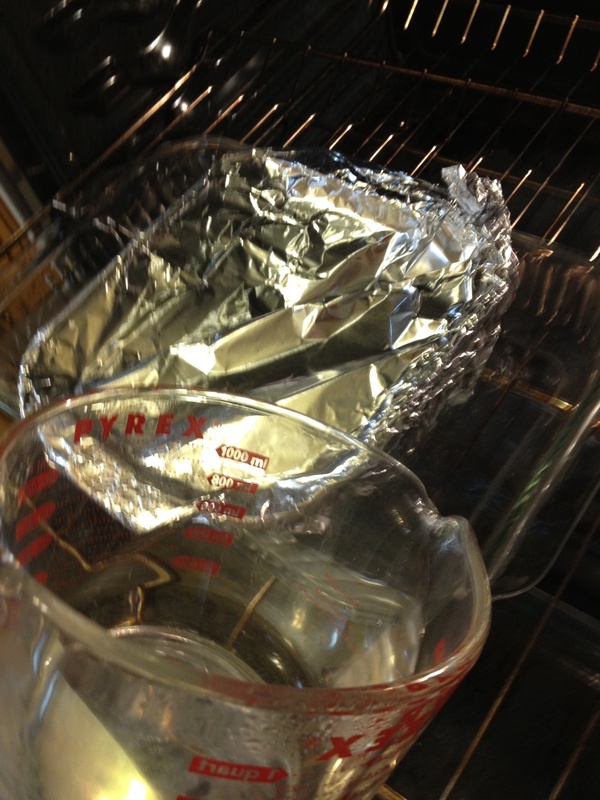 To make the water bath, place a 13×9 glass pan into the oven. Pour boiling water into the pan. Place smaller pan into the larger pan. Don’t fill the pan more than halfway with water! The water will continue to bubble and boil – overfilling could cause splashes and burns. Bake at 375 for 40 minutes. Lower the oven heat to 300, then remove tin foil. Continue baking for 10 minutes. The dough should still be sticky, but not watery. 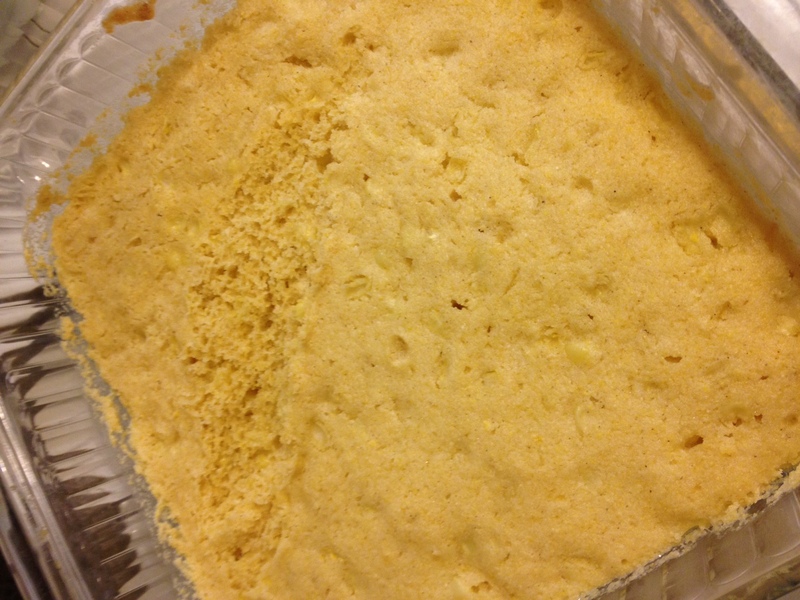 Most recipes for this corn cake will use equal parts corn meal and masa. I prefer this cake to be extra smooth with very corn meal added. If you would want to use fresh corn, it needs to be cooked first – the batter will not cook the raw corn. Don’t forget – our Cinco de Mayo giveaway is underway! You could win a tortilla press or a $25 gift card to spend at amazon.com! Visit our Cinco de Mayo giveaway page for complete details! Tags: cinco de mayo recipes, corn flour, food, masa, recipes, sweet mexican corn cake, vegetarian. Bookmark the permalink. Previous post ← CookPlantMeditate Counts Down To Cinco De Mayo!